There are several factors that can cause hot electrical outlets, but that doesn’t mean you should take the situation lightly. Some devices (like phones, printers, and chargers) change the voltage input via an internal transformer which can cause an outlet to feel warm. The key here, however is that it should feel slightly warm, never significantly hot. 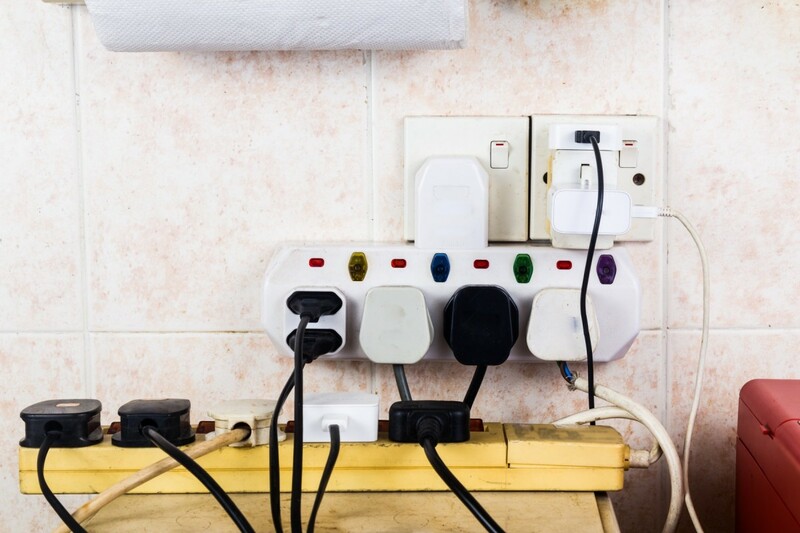 So what else can cause hot electrical outlets and what should you do about it? Can you Ignore Hot Electrical Outlets? An overloaded circuit can also cause an electrical outlet to heat up. You may have too many appliances plugged into the circuit. More alarming, it’s possible that the outlet is worn out, old, or the wires are touching in a way they shouldn’t. Loose electrical connections behind the walls or shorting circuits should be addressed immediately by a professional electrician. Any signs scorch marks or melted plastic on an outlet signals a dangerous situation that can lead to fire. With that in mind, you can never ignore hot electrical outlets. The first thing you should do is find the circuit breaker that powers that electrical outlet and shut it down. This will prevent the outlet from causing any harm as you continue to investigate. You can unplug a device and let the outlet sit for an hour. If it is still warm, or you plug in a new device and it continues to be hot, then there is a larger problem that must be addressed ASAP. If there is no logical reason for the hot electrical outlets, then keep your circuit breaker off and call a professional electrician. Avoid damage to appliances or electronics and get an expert to tackle the problem right away. Tim Kyle Electric provides residential electrical service to Towson, Maryland and the greater Baltimore area. Contact us today for an outlet inspection. We will quickly repair or replace any outlets in question.